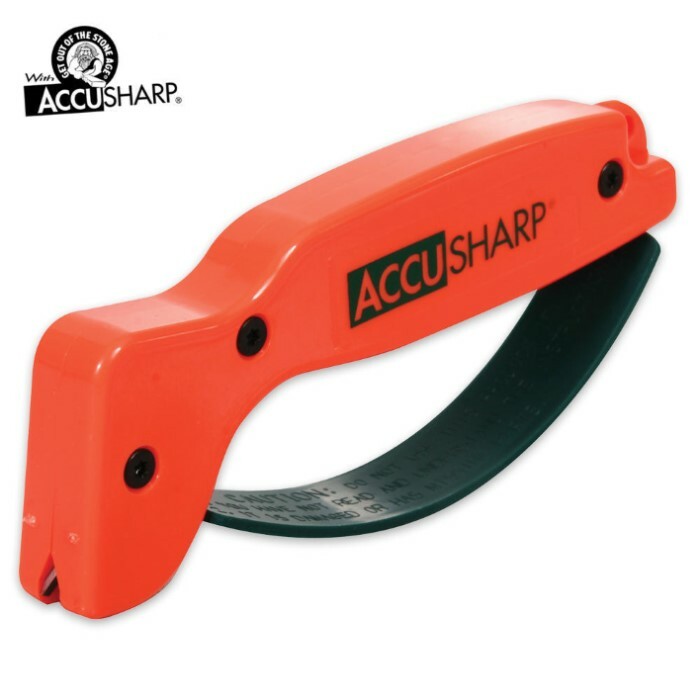 AccuSharp Knife Sharpener Blaze Orange | BUDK.com - Knives & Swords At The Lowest Prices! The Blaze Orange Accusharp Knife Sharpener will put a razor edge on most any knife in less than 10 seconds! It's the simplest, fastest and sharpest knife sharpener on the market. Oh yea. This thing sharpens most of the blades that I have and it sharpens well. I got this one because it is pretty hard to lose something with a color that bright and I was tired of getting my blades scratched while sharpening them with the Timber Rattler Deluxe Knife Sharpener. Get this one.